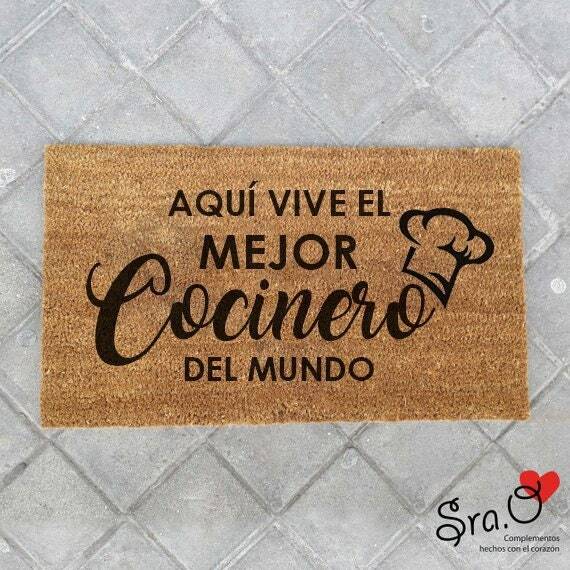 Doormat "Here lives the best cook in the world"
Hand-painted doormat with original design by Sra. 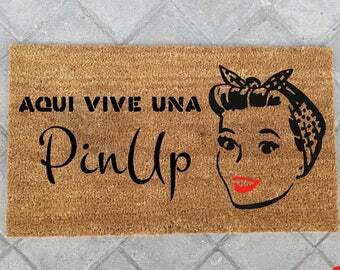 O. can be customized! 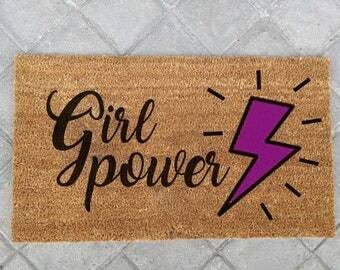 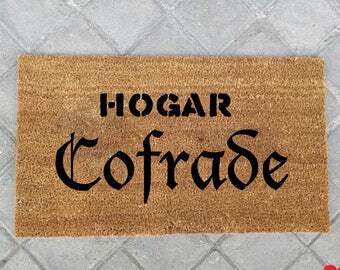 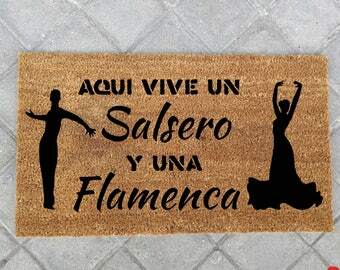 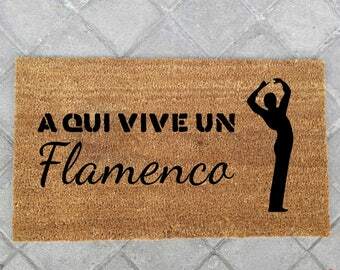 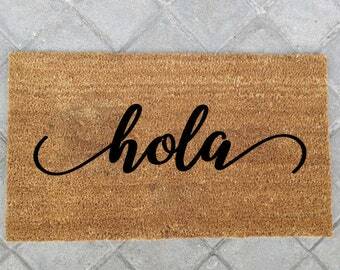 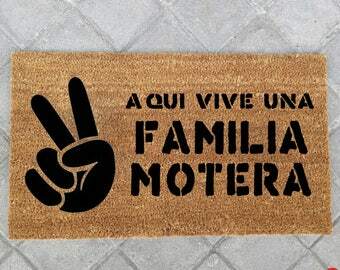 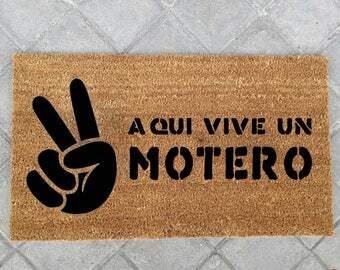 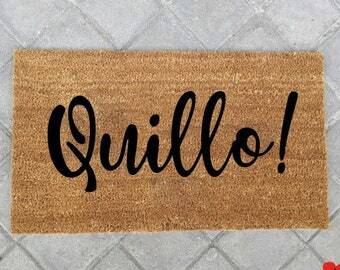 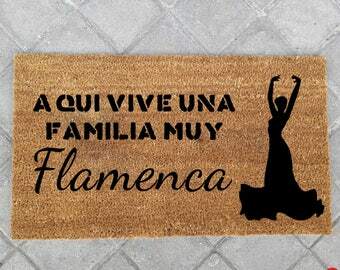 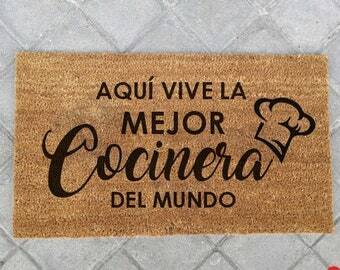 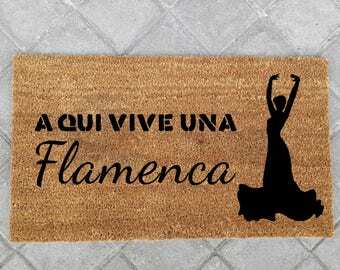 Doormat "Here lives a PinUp"
Doormat "Here lives a very Flemish family"
Doormat "Here live a biker"-"here lives a biker"
Doormat "Here live a flamingo"
Doormat "Here live a biker family"